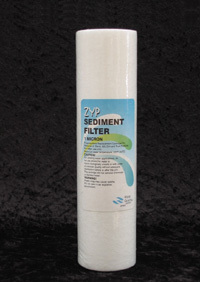 1 micron washable pleated sediment cartridge for the 20 inch x 4.5 inch whole house and commercial housings. 1 micron polyspun replaceable sediment cartridge. Effective cartridge for the Farm and City dual under sink systems. 10 inch x 2.5 inch. Replacement I micron polyspun sediment cartridge for kitchen / shop level 10 inch x 4.5 inch housings. Replacement I micron polyspun sediment cartridge for whole house level 20 inch x 4.5 inch housings. 10 micron washable pleated sediment cartridge for the 20 inch x 4.5 inch whole house and commercial housings. 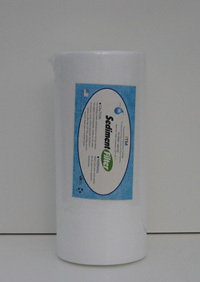 5 micron washable pleated sediment cartridge for the 20 inch x 4.5 inch whole house and commercial housings. 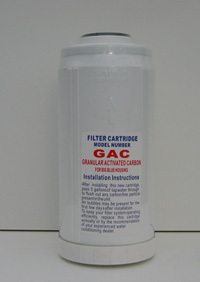 Replacement granular carbon cartridge for whole house systems. Fits 10 inch x 4.5 inch Big Blue housings. Hydrometer for home or commercial brewing. 1.000 - 1.1000 density type. Overall length 300 mm.